Regenerative medicine is an interdisciplinary area dedicated to the repair, replacement and regeneration of cells, tissues and organs to restore and/or establish normal functions affected by any cause, including birth defects, disease, trauma and aging. The ultimate goal of regenerative medicine is to return the patient to full health from whichever ailment affected them. For this purpose Regenerative Medicine employs various technologies that include but are not limited to cell therapies such as - stem cell and adults -tissue engineering - combined materials and cells-and the use of soluble molecules, physical media such as electricity and gene therapies reprogramming cells and tissues. 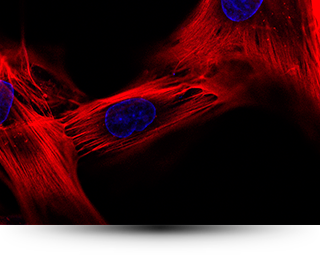 In Hearten Biotech we research, develop and produce various tools of regenerative medicine opening proven therapeutic alternatives and creating expectations for those patients who still seek healing. Copyright © 2015 Dentistry Hearten Biotech All rights reserved.